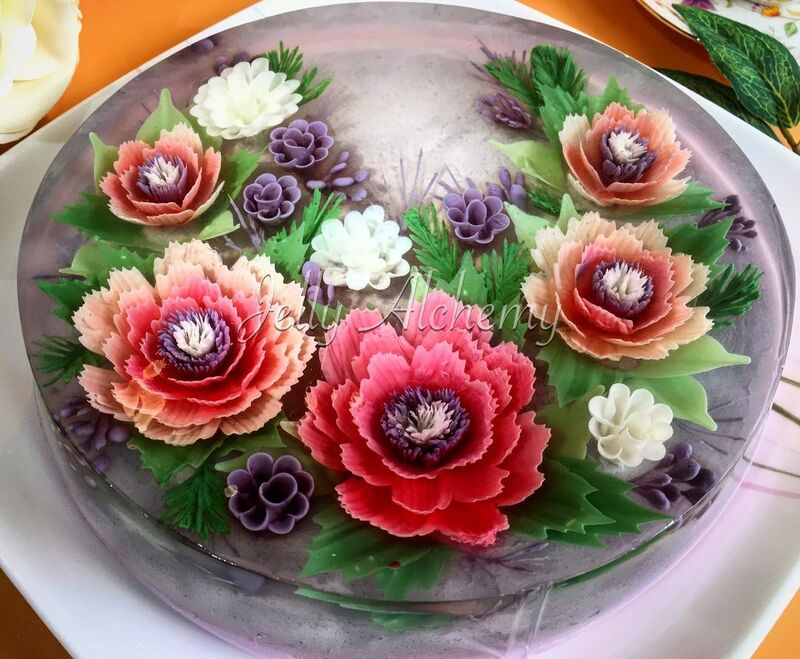 Cake maker Siew Heng Boon crafts confections that don’t look edible at all. 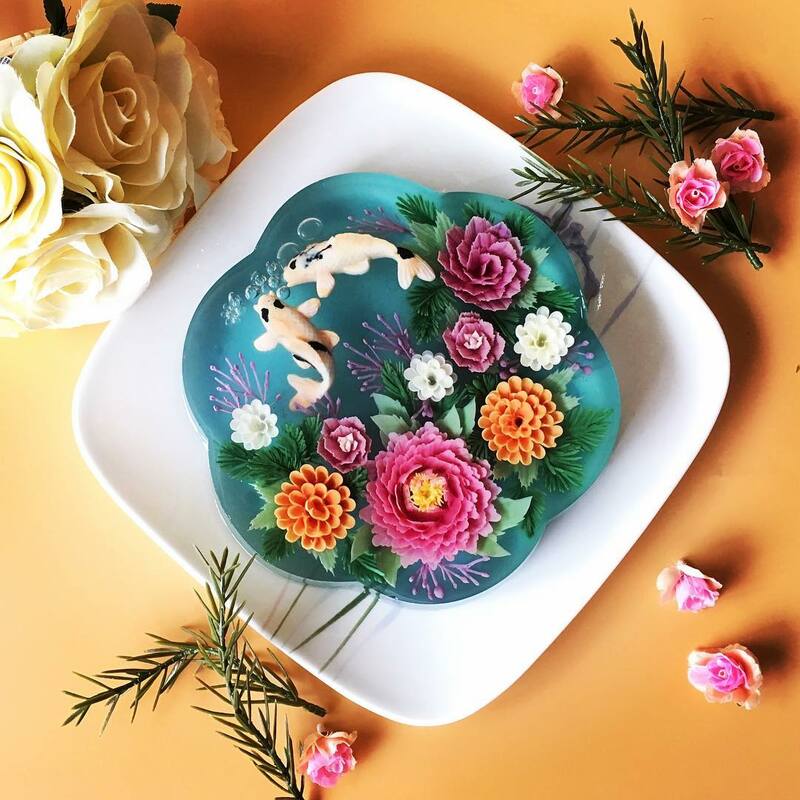 Her glass-like creations are instead akin to office paperweights with florals and fish encased beneath clear surfaces. 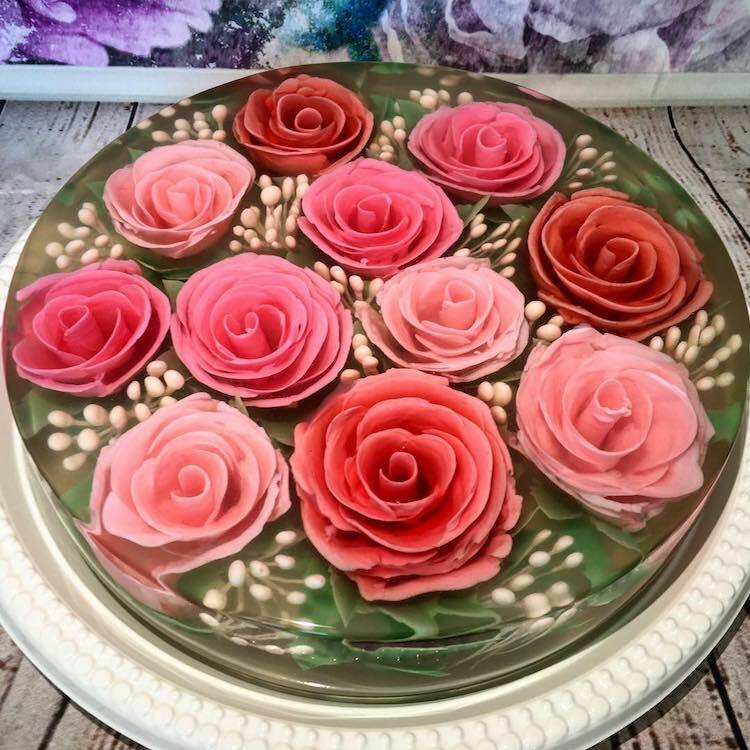 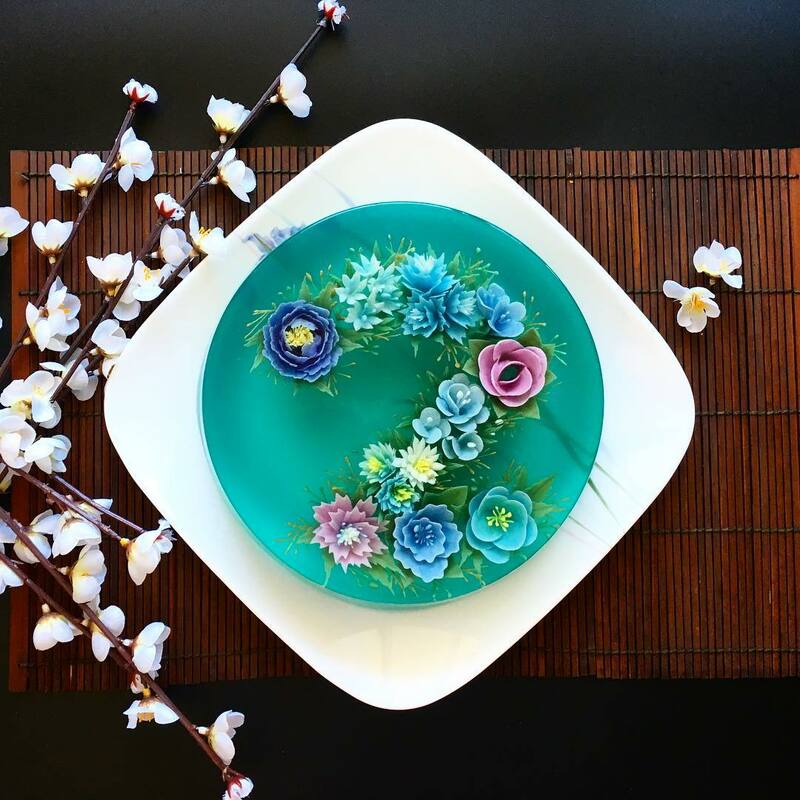 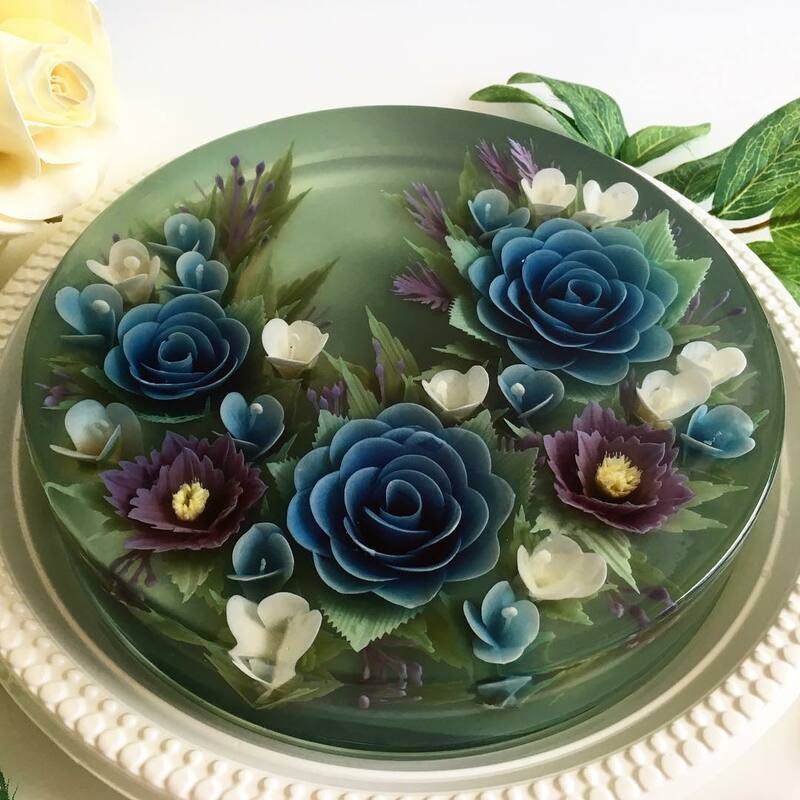 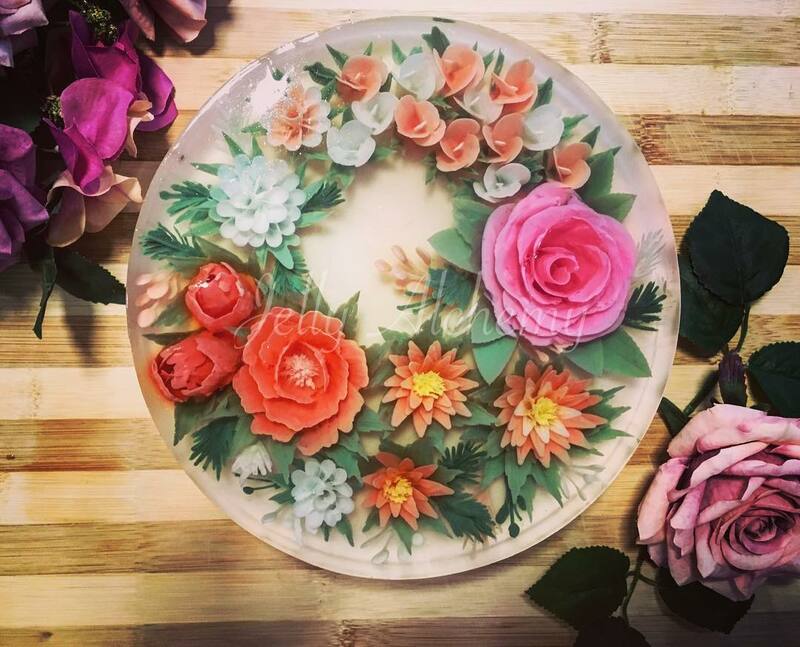 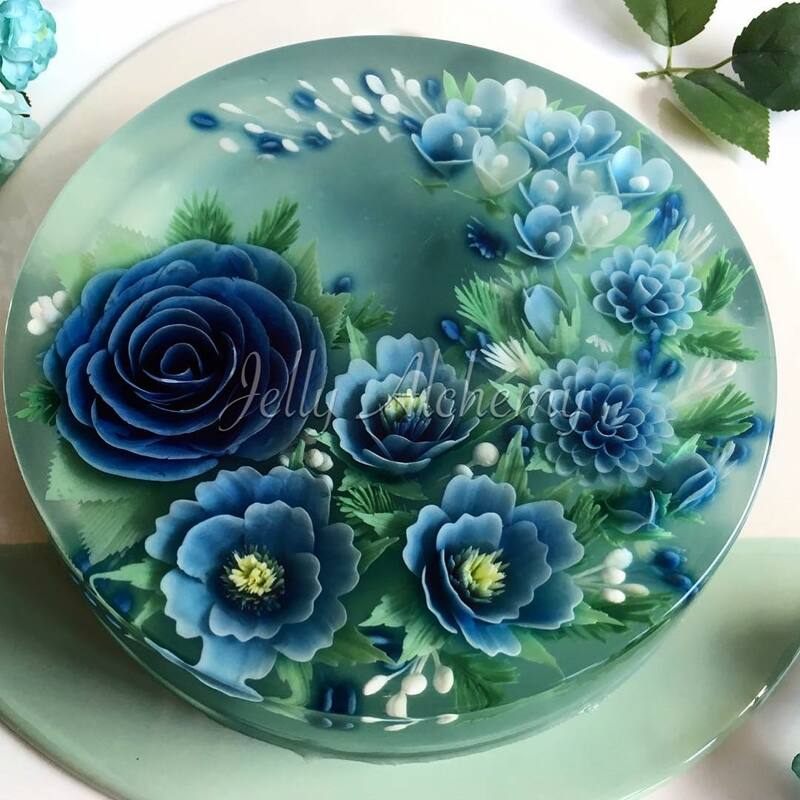 Known as 3D jelly cakes, these confections are made with gelatin or seaweed jelly powder and use specific tools to inject colorful motifs onto a clear base. 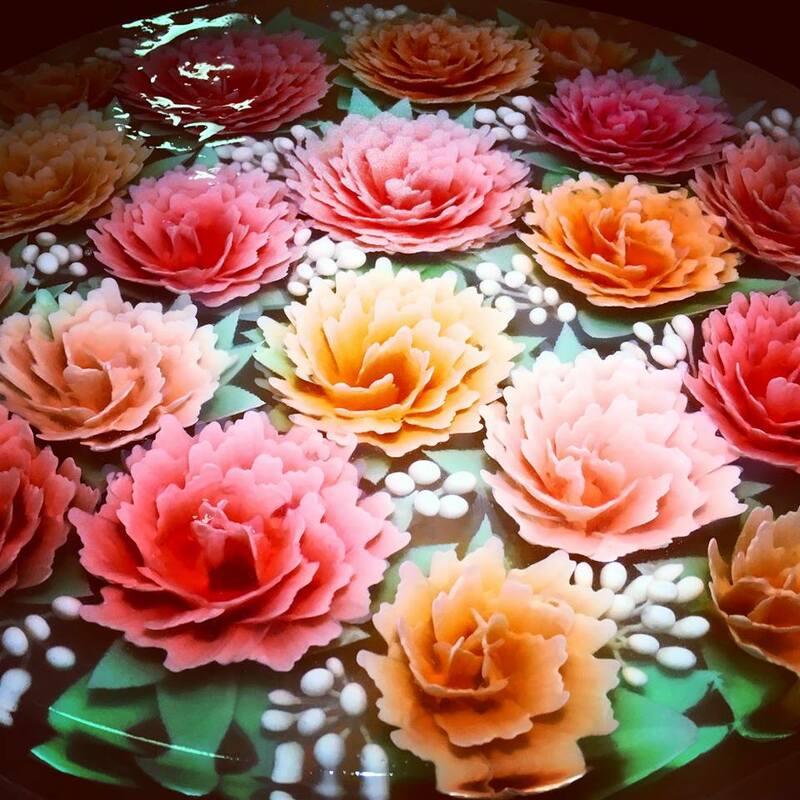 Boon’s cakes are an awe-inspiring example of when food transcends into edible works of art. 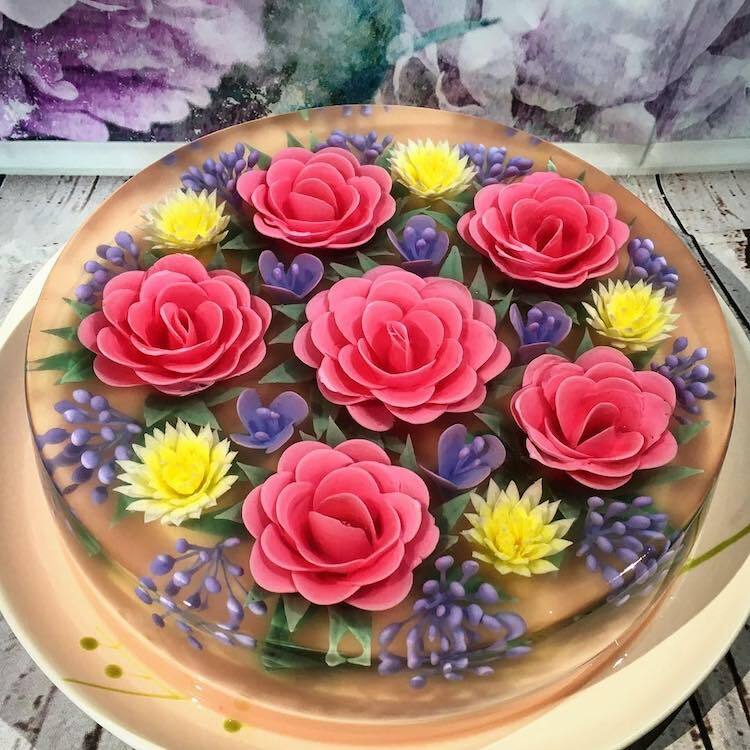 She’s developed her impressive skills only within the last couple of years- she didn’t even know jelly cakes existed until two years ago. 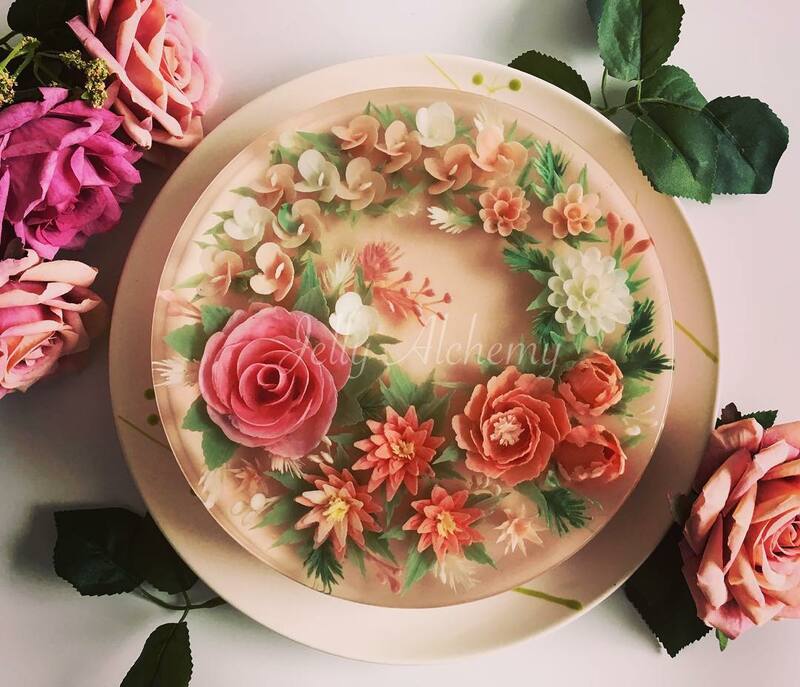 “A neighbor of my mum had made it and gave it to her. 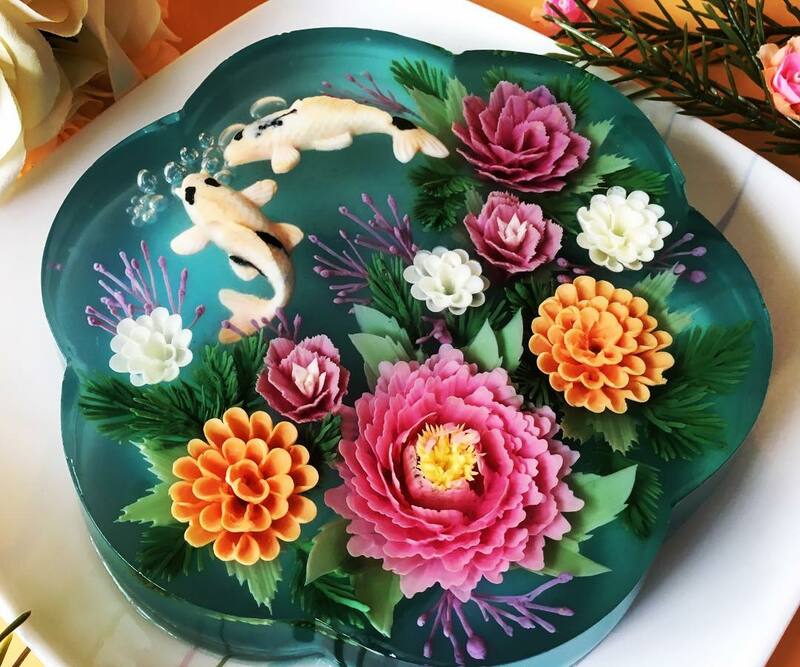 Intrigued by it, I decided to take up a course run by a very famous 3D jelly art teacher in Malaysia. 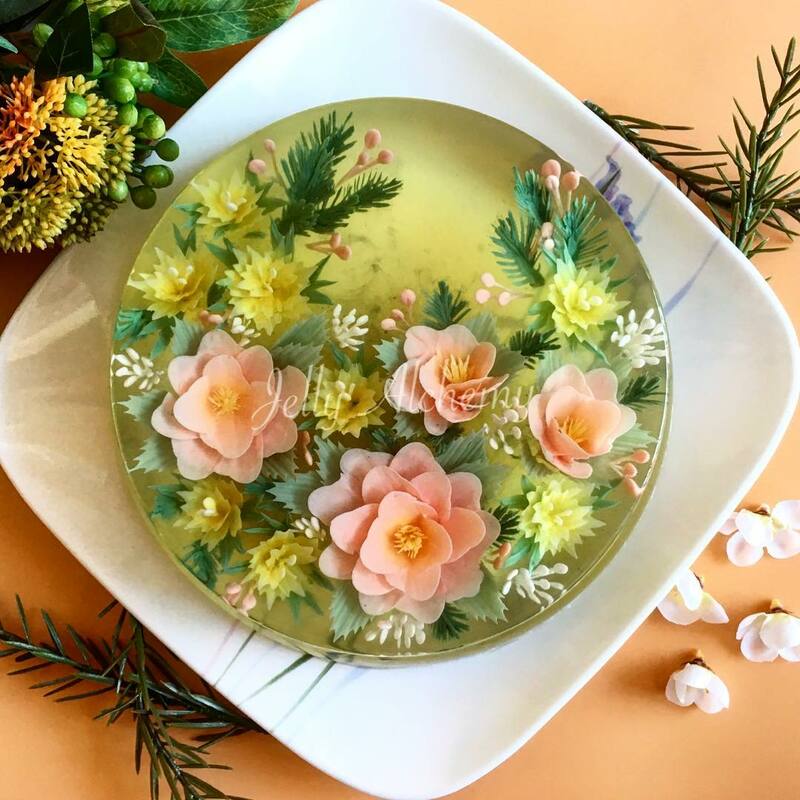 After practice and posting it up on Facebook and Instagram, a few people started to order them from me.” She established her business called Jelly Alchemy upon her return to Sydney. 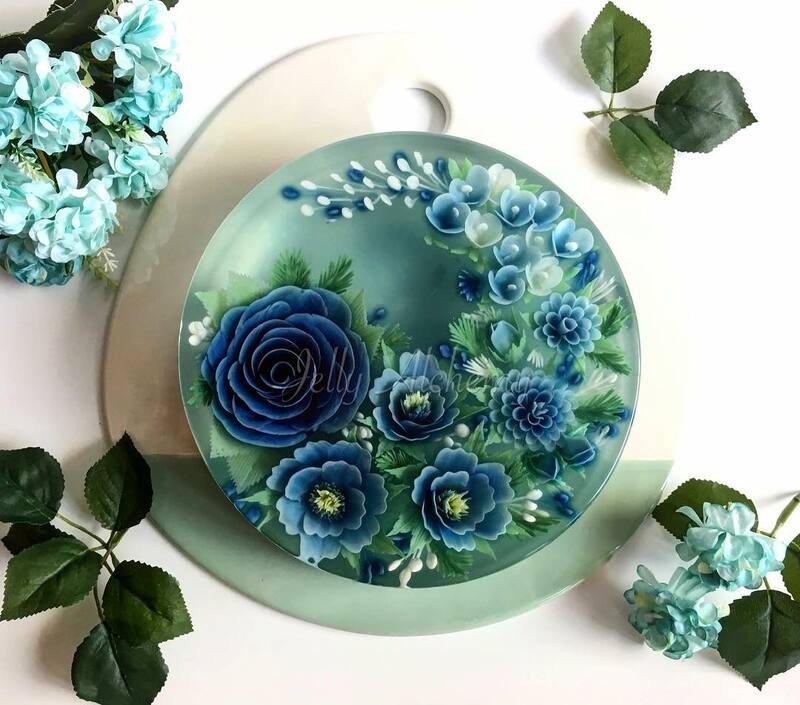 Really amazing cakes, don’t you think? 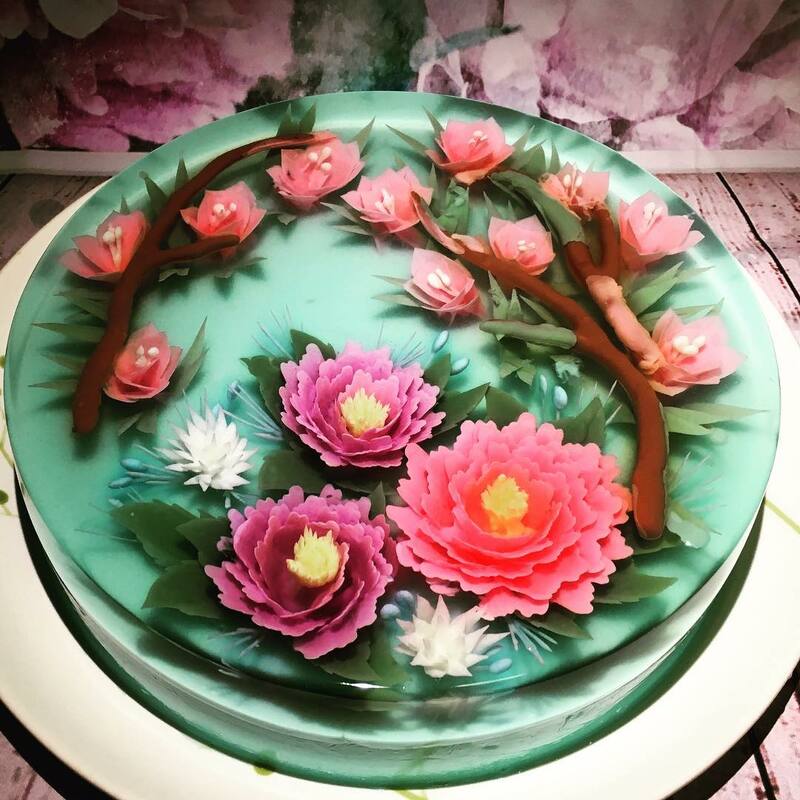 And don’t forget to check beautiful vegan cakes.